ATLANTA--(BUSINESS WIRE)--The Fulton County Daily Report, which covers legal news in Atlanta and all of Georgia, named Arnall Golden Gregory partner Edward A. Marshall one of its “Rising Stars: 40 Under 40,” a listing of exceptional young attorneys. Mr. Marshall, 36, focuses on resolving complex business disputes, particularly those involving the payment systems industry and employee benefit issues. He is the leader of Arnall Golden Gregory’s Complex Business Disputes Practice, co-leader of the Payment Systems Industry Team, and past chair of the Employee Benefits Section of the State Bar of Georgia. The Daily Report profile of Mr. Marshall begins with an anecdote about a book of lessons learned that Mr. Marshall put together while clerking for U.S. District Court Judge Richard Story. His litigation experience includes successfully representing a payment card processor in a contempt action brought by the FTC involving a challenge to the use of reserve funds to cover consumer-initiated chargebacks, and representing another card processor in a challenge to a card brand’s assessment of liability following a data breach. Away from work, Mr. Marshall enjoys spending time with his wife and two daughters and cycling. 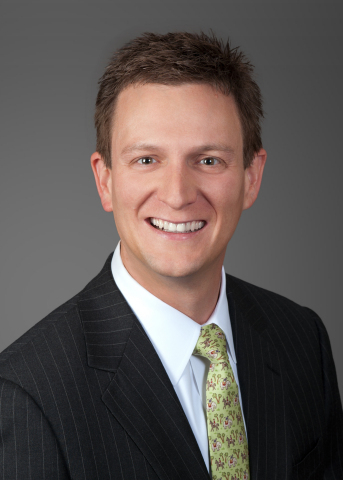 He is a graduate of the University of Georgia School of Law and Samford University. Last year, The Daily Report named Michael F. Holbein, a partner in the Bankruptcy, Creditors’ Rights and Financial Restructuring Practice Group, a Rising Star. Arnall Golden Gregory litigator Edward A. Marshall named a "Rising Star" by Georgia's leading law newspaper, The Fulton County Daily Report.